Build your own antibody panel with ProteinTech! - You can now build your own panel of three, five, or eight trial sized antibodies. - Perfect for new projects and screening multiple prospective targets without the need to invest in full-sized antibody vials. 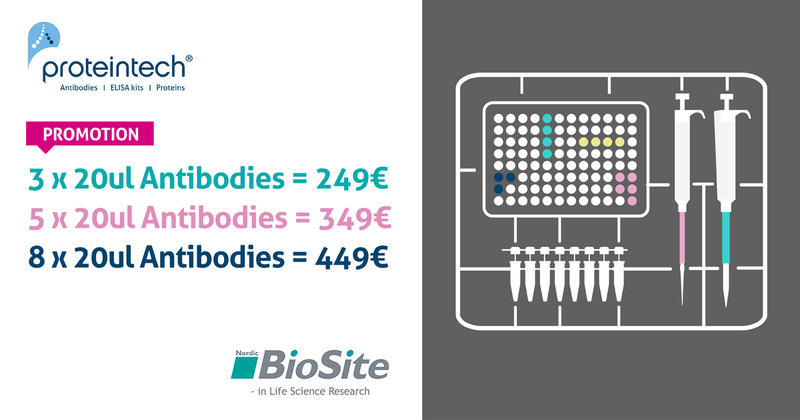 - This offer applies to any of our growing range of catalog antibodies in 20uL size - usual price £/€ 99 each. Use promo code PTG20 to claim the offer. Valid from March 1st to April 30th. Can't be used in conjunction with other offers.